A SIMPLE IRA can provide a short-term debt solution. If you work for a small business, chances are you may have a SIMPLE IRA -- Savings Incentive Match Plan for Employees Individual Retirement Account. This account can be used as a tax-free source of funds to help you pay off debt, but it is a short-term solution and requires some caution. However, if you're able to repay the amount you borrow from your IRA within 60 days, it can provide a quick source of capital to apply to debt. Plan your finances to make sure that whatever you take out of your SIMPLE IRA to apply to debt is an amount that you can pay back within 60 calendar days. If you will not be able to pay it back in time, seek other debt solutions. Tell your plan administrator how much you want to withdraw from the SIMPLE IRA. Remember to tell them the withdrawal is for a rollover and not to withhold taxes or up to 20 percent could be withheld. Because you're 100 percent vested in a SIMPLE IRA, you own it and don't need to consult with your employer before withdrawing from the account. Apply the funds to your debt. Repay all the funds within 60 calendar days. Failure to do so will result in fines and taxes. Plus, you won't be able to repay the money into your account. Report the rollover to the IRS. Enter the withdrawal on line 15a of Form 1040 and the repayment on line 15b, writing "rollover" next to it. You may need to submit IRS Form 1099R and Form 5498, which you should receive from your financial institution. Some 401(k) plans allow you to borrow with longer terms of repayment and you should consider that option if it's available to you. 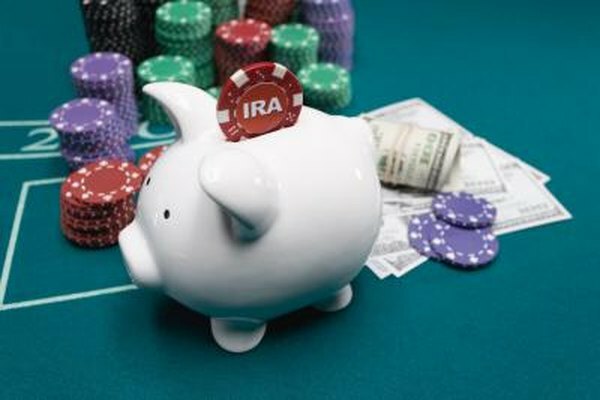 Also, you can legally withdraw from your IRA without penalty or payback requirement for certain purposes or under certain conditions. These include up to $10,000 for first-time home purchases, disability, certain medical expenses, medical insurance premiums for the unemployed, higher education costs and qualified reservist on active duty. Conditions generally apply. If you don't repay the funds you withdrew from the IRA within 60 calendar (not business) days, you'll owe taxes on the money as if it were income. Also, you'll be assessed a 10 percent early withdrawal penalty unless the IRA account is less than two years old, in which case the fee is 25 percent. Additionally, the IRS allows only one withdrawal of this type during any 12-month period, so plan accordingly.